Meghann Murphy is an actress and writer living in Los Angeles. She has appeared in dozens of national commercials, as well as the Adult Swim shows Childrens Hospital and NTSF:SD:SUV, and on the hit Fox comedy Brooklyn Nine-Nine. She can currently be seen in the Emmy-nominated go90 show, Tales of Titans. 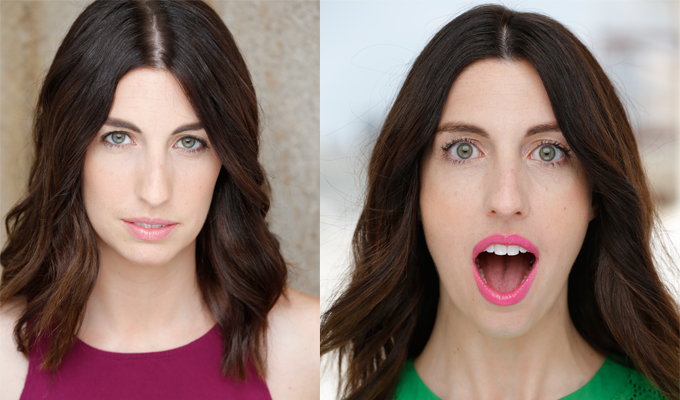 In addition to her TV work, Meghann performs on stage at various comedy theaters around LA, and recently co-wrote the sketch show Road to Shondaland, performed at the UCB Theater. She graduated from New York University\'s Tisch School of the Arts with a B.F.A. in Theatre and a B.A. in Journalism. Very excited to say that my episode of Brooklyn Nine-Nine airs Sunday, April 8th at 8:30pm on Fox!